This is a quality oil by one of the oldest brands in the country. There is between 1/3 and 1/2 ounces (2 drams) in the bottle. One of the bottles broke in shipment and dumped the oil over the other bottles. The name - exorcism oil is removed from the label. That is the only damage. 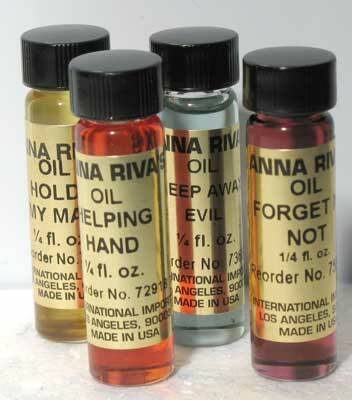 The oil is used to exorcize negative spirits, thoughtforms or energy.